Interaction with horses is recognised globally as a powerful and experiential tool that quickly breaks down barriers and changes negative or destructive behavioural patterns . and social well-being through interaction with horses. The Horses Connect HORSE PLAY – Life Skills through Horse Skills program is an Equine Assisted Learning (EAL) program. EAL is a highly versatile model that can be easily adapted to facilitate growth, learning and personal or professional development in a broad range of situations. 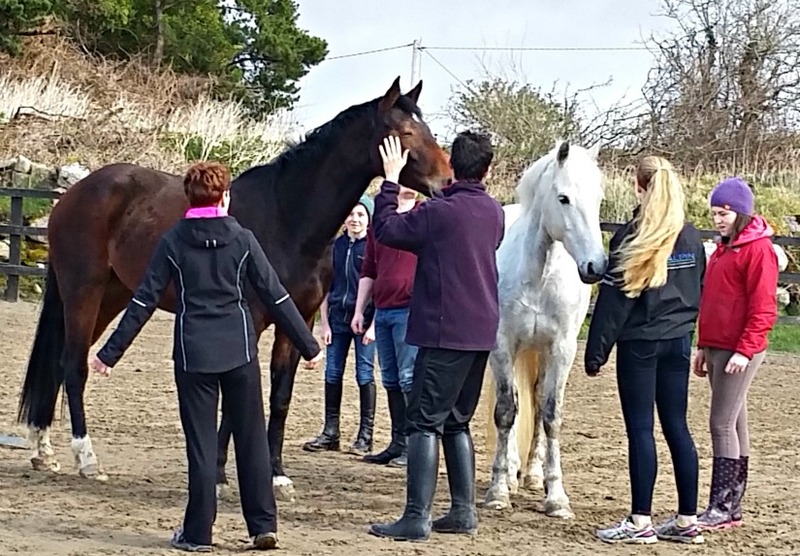 HORSE PLAY – Life Skills through Horse Skills offers experiential communication, team-building, problem-solving and personal growth opportunities to individuals, groups, families, and organisations. Equine nonverbal communication, herd behaviour, and equine development demonstrate successful interaction as an example for human relations. In collaboration with other professionals (e.g. Physiotherapist, O.T. or S.L.T) it can also be adapted to help with Literacy and Numeracy, social or verbal skills, Executive Functioning and much more. HORSE PLAY – Life Skills through Horse Skills is not psychotherapy and does not include a licensed mental health professional on the facilitation team.